The Muslim Food Bank is bracing for an increase in demand as federal sponsorship of the first wave of Syrian refugees comes to an end in December. The Muslim Food Bank is expecting more people to rely on its services as federal sponsorship of the first wave of Syrian refugees comes to an end. More refugees are expected to arrive in the new year as well. 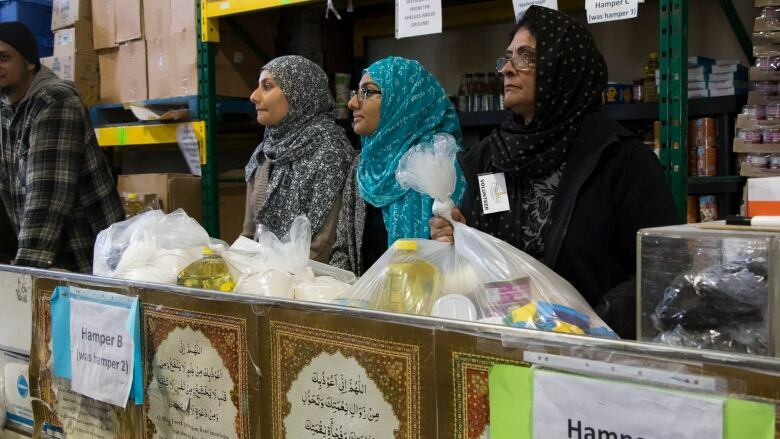 "We are not seeing the numbers [of Syrian refugees] going significantly down, so we are going to see quite a lot of pressure on the food bank," said Mainu Ahmed, director of the Muslim Food Bank. The federal government-sponsored refugee package — which includes a monthly living allowance — to help support the resettled Syrian refugees is only good for the first year. So, the first wave of Syrian refugees will now have to start supporting themselves. 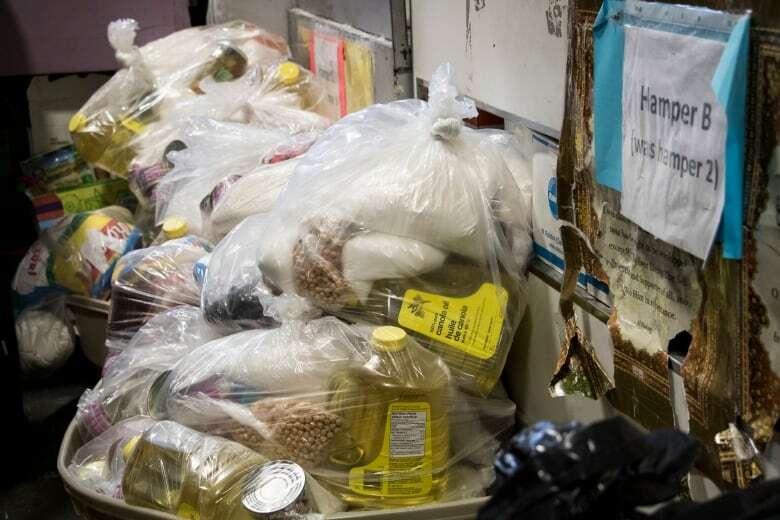 "They're also struggling very hard," said Azim Dhaya, executive director of the Muslim Food Bank. "They are looking for alternatives, getting better jobs, trying to get established faster, trying to improve their English skills," said Dhaya. The language barrier for this group has made it very difficult for many Syrian refugees to land high-paying jobs fast. 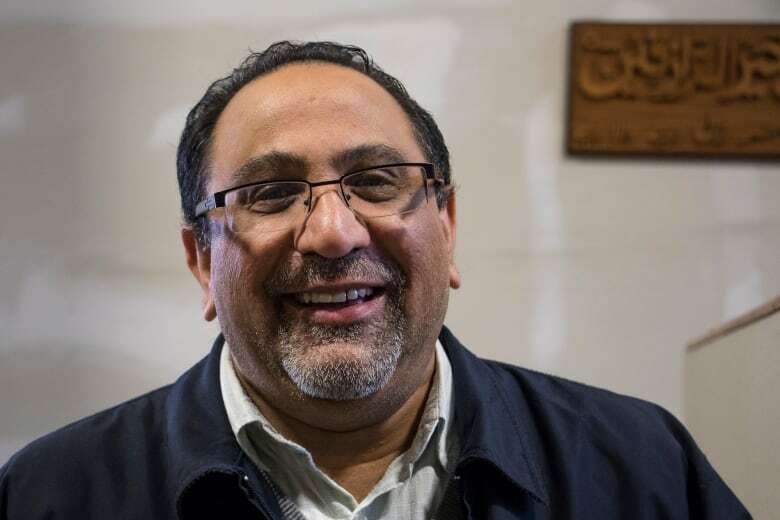 "The proportion of refugees who are ready to work and who have the right skills and language ability is actually very small, the amount of refugees continuing to stay and require food assistance from this or any other food bank is going to be pretty high," said Ahmed. The food bank doubled in size already once this year and with 25,000 Syrian and non-Syrian refugees expected to come to Canada in 2017, the expectation is that the shop will have to expand once more. One refugee said his family has been here for almost a year, and in a few months federal government money will stop coming in and he will have to find a job. Speaking through an interpreter, he told CBC News if he doesn't find a job, he will have to apply for provincial welfare. "He is going to find the welfare and he is still going to come here [to the Muslim Food Bank] and go on welfare until he finds a job." Chris Friesen, who heads the settlement programs for the Immigrant Services Society of B.C., believes this will be the case for many of the Syrian refugees. "The bulk and majority of refugees as they come in under humanitarian immigration, they will need some additional years of support until they can fully stand on their own two feet," said Friesen. Friesen said his group is working with the government to help the families transition to provincial income assistance. Depending on the family's situation, the provincial assistance rate can be slightly less than the federal government rate. In a statement, the provincial government acknowledged there will be a gap in the level of financial support available, but said refugees will have access to a range of services and programs for low-income people, including access to subsidized housing, child care and health care. One Syrian refugee who came to Vancouver in January said soon he will stop getting money from his private sponsor. He currently gets $1,000 and most of it goes to his rent — he is alone, without a family. "My problem is [the] house. Not food," he said, who is also planning to apply for provincial welfare. "I need [an] apartment, it is difficult. I have one but it's not good, I need to change my house. I am looking everyday to change my house but it's expensive," he said.